What Would You Pay for a Great Educational App? The vast discrepancy in the price of apps doesn't always reflect quality. Walk the aisles of any toy store and you'll see miles of shelves lined with $20-$30 board games and toys. We're accustomed to paying that amount because that's where that the market set the price years ago. It's predicated on production costs, overhead for toy manufacturers, distribution, and the store's cut of the margin, among many other factors. But with apps, it's been a different story. Combine the freedom from marketing-oriented design restrictions with the power of new digital tools like the iPad, and the result is an explosion in excellent, interactive, educational games that allow kids to explore and create -- not just consume or destroy -- and at a far cheaper price. 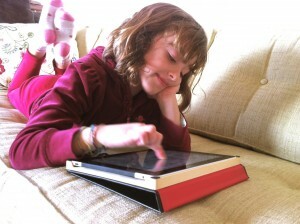 Would parents be willing to make the ideological jump to paying more for a quality educational app? Straight out of the gate, consumers are used to paying just a buck or two for most apps -- and many of the "lite" versions are free. 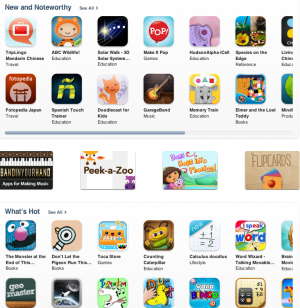 Even the apps that most agree have educational value vary in range from free to $7. Most would balk at the idea of paying $20 or $30 for an app when it's available for so much less. But there's one thing app users have discovered: there are apps and there are apps. Some will invariably be single-function duds. At $1, it's not much of a risk (though it does add up if apps are indiscriminately charged). The bigger question is this: Would consumers (parents) be willing to make the ideological jump to paying more for a quality educational app? Maybe -- if they knew what goes into making it. It's true that educational app developers no longer need to worry about the high costs of distribution to brick-and-mortar stores. They no longer need to design their toys around the demands for "shelf appeal." But the investment they make in research and development and new and innovative tools aren't necessarily offset by the $1 or $2 price tag. There are success stories for app developers who price their software that low, but they're typically rare exceptions, and have little to do with the quality of the app, especially in the educational market, which is still arguably small. These are the questions raised this week by the Children's App Manifesto, a call-to-action -- or at least a call-to-conversation -- about the best road forward in helping sustain high-quality educational apps. It's written by Andy Russell, who's behind Launchpad Toys -- maker of the Toontastic storytelling app, and Daniel Donahoo, who's a GeekDad contributor, author and researcher. From their perspective, the onus is on everyone who has a vested interest in children's media. "Parents need to support exceptional content by looking beyond $.99 apps, publishers need to keep their prices accessible, developers need to avoid the temptation of selling game-play consumables, and investors need to maintain reasonable expectations for returns. In short, we all need to strike a balance between our respective interests and what's best for the long-term viability of the market and for our children to play, learn, create, and grow (hint: it's one and the same)," writes Donahoo in The Huffington Post. Donahoo and Russell have looked at some of the various revenue models used by developers to price children's app, assessing which ones provide the most benefit to both parents and kids. They say their goal isn't to arbitrarily raise the price of all apps. And it's particularly important that kids aren't exploited -- a charge often leveraged at apps that require in-app purchases, such as the infamous Smurf Village app, whereby a special Smurfberry item cost $99, much to the shock of parents who received the bills when their kids made these purchases. Donahoo and Russell propose there's a better way: subscriptions and content expansion packs. Launchpad Toys follows the latter tact. The initial price the Toontastic app for $3 (though it's currently free). Users can use that fully functioning app, or choose to add additional characters and themes with $.99 expansion packs. This way, they contend, costs are controlled; it's cheap for parents and children to evaluate an app, and the model encourages regular updates. As more high-quality, sophisticated educational apps become available, consumers will ultimately decide what the market will bear.